...I'm excited to announce that this Friday morning I head for Palm Springs and the 16th Annual Arthur Lyons Film Noir Festival. Although I'll miss the opening night film on Thursday evening, I'll have the opportunity to see a fantastic lineup of 11 films between Friday and Sunday. I've only seen two of the movies on a big screen, and this will be my very first time to see THEY WON'T BELIEVE ME (1947) and THIEVES' HIGHWAY (1949). The great Norman Lloyd, who celebrated his centennial birthday last November, is expected at a screening of M (1951), and former child actor Gordon Gebert will attend a showing of CHICAGO CALLING (1951). Also on hand will be J.R. Jones, author of the brand-new biography THE LIVES OF ROBERT RYAN, which I'll be reviewing here at a future date. 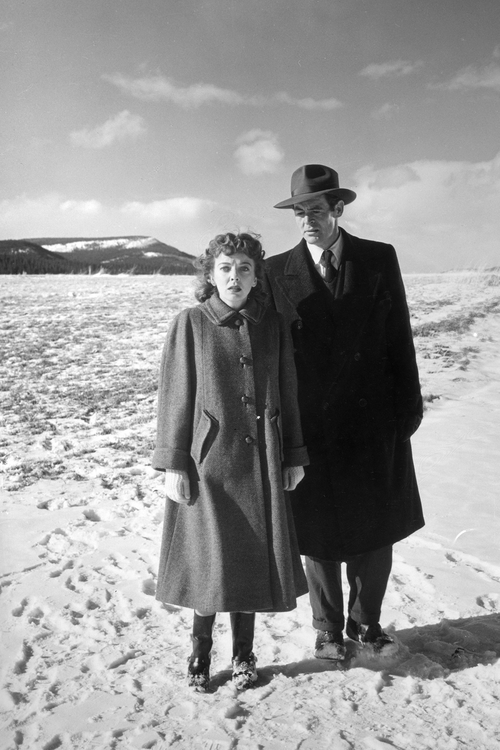 (Ryan is seen above left in ON DANGEROUS GROUND, costarring Ida Lupino, which will be screening at the festival.) Stay tuned for complete coverage of the Arthur Lyons Film Noir Festival! ...For those who may be interested, more reviews of individual films shown at this year's TCM Classic Film Festival will also be coming! 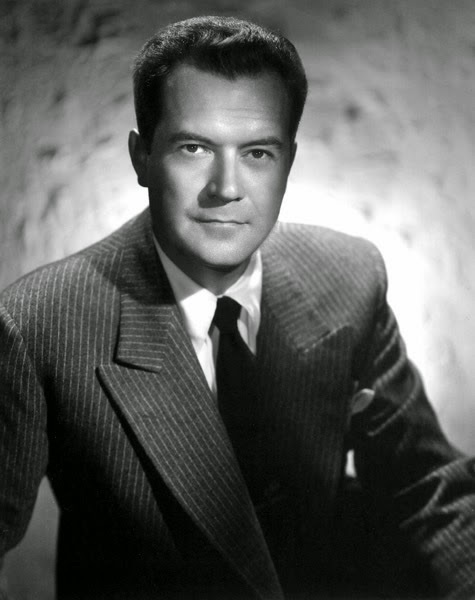 ...It was a pleasure to hear from former child actor Donald Smelick (now Donald Ross), who just left comments at my post on TRY AND GET ME (1950) about some of his experiences working on the film. As a big fan of Frank Lovejoy, I especially enjoyed hearing that "Frank Lovejoy was the nicest guy you’ll ever meet." ...For Mother's Day, Kay interviewed Beverly Washburn about her experiences working with her "TV mom," Loretta Young. 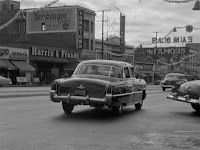 Visit Kay's blog Movie Star Makeover for some wonderful memories of the woman Beverly called "Mrs. Lewis." ...Amazon Prime members can stream for free when flying JetBlue. 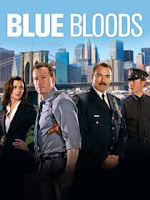 ...Wonderful news for fans of quality TV: BLUE BLOODS, with Tom Selleck and Donnie Wahlberg leading a fine cast, has just been renewed for a sixth season. ...The retro-inspired AGENT CARTER, starring Hayley Atwell, has been just been renewed for a second season on ABC. I intend to try this show at some point, as bits and pieces I've seen look like fun. ...Blythe Danner and Sam Elliott were interviewed about the leading roles they play in the new indie film I'LL SEE YOU IN MY DREAMS (2015). ...Dunkin' Donuts is moving back into the Southern California market, after a failed attempt some years ago ended with the company closing its California stores. 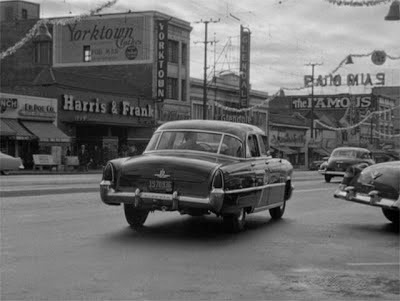 ...When Turner Classic Movies showed CRIME WAVE (1954) last week, I saw a Tweet linking to a terrific photo post on the movie's locations at Tropico Station: The Glendale Blog. Fans of this wonderful Sterling Hayden film should be sure to check out the link. ...Prince Jacques and Princess Gabriella, the children of Prince Albert II and Princess Charlene of Monaco, were christened this weekend. The Daily Mail has lots of photos along with a short video of the ceremony. Jacques and Gabriella are the grandchildren of Princess Grace of Monaco, aka actress Grace Kelly. Albert's American cousin, Grace's nephew Christopher Le Vine Jr., is godfather to Jacques. ...My latest article for ClassicFlix is a recap of my experience at the 2015 TCM Classic Film Festival. ...Notable Passings: Actress Elizabeth Wilson has passed on at 94...Grace Lee Whitney of STAR TREK has died at 85...Joanne Carson, the ex-wife of Johnny Carson, has passed away at 83. She was Carson's second wife, from 1963-72...Chris Burden, who created the famed "Urban Light" display outside the Los Angeles County Museum of Art, has died at 69...and screenwriter William Bast, who co-created the DYNASTY spinoff THE COLBYS, is dead at 84. Bast wrote the screenplay for one of my all-time favorite TV-movies, THE SCARLET PIMPERNEL (1982) starring Anthony Andrews, Jane Seymour, and Ian McKellen. Thanks for the news of Season 6 of BLUE BLOODS! It is about the only current US TV series we watch but we love it. We have just finished Season 5 on this side of the Atlantic. Really looking forward to hearing all about the Noir fest! That lineup is great. Interested to hear what Norman Lloyd will have to say at the M screening. Can't wait for your report back! Delighted to know you enjoy BLUE BLOODS as well, Jerry, and glad I could share the news. Selleck and company do a great job. I've been gradually watching it thanks to DVD.